Give your HTC smartphone a unique and personalised look. 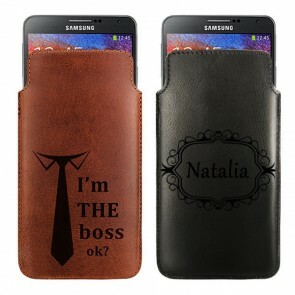 GoCustomized is a specialist in personalised cases and covers for HTC mobile devices. 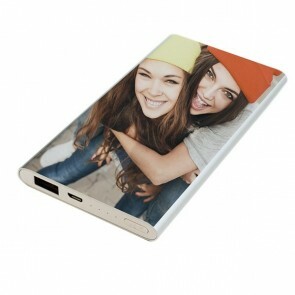 Use any of your favourite pictures, quotes or even your company logo to personalise a phone case of your choice. The cover doesn’t only look pretty, it protects your phone from all the nasty little damages it picks up while being used on a daily basis. You take your phone out of your pocket and put it back at least a 100 times a day. Your HTC phone isn’t the only thing in there, think about your keys and coins. The personalised HTC phone cases that we offer will ensure your phone stays looking sharp for longer. The process of designing your own HTC case is simple and quick. 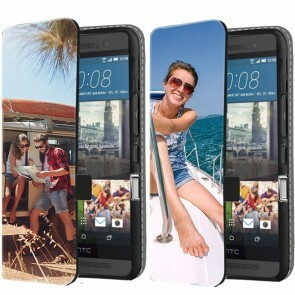 We have a broad range of HTC devices to which we can tailor make a personalised case. Choose your device and type of case and get started immediately! GoCustomized.co.uk gives you the opportunity to take your standard HTC device and customise it with whatever your creative mind can come up with. 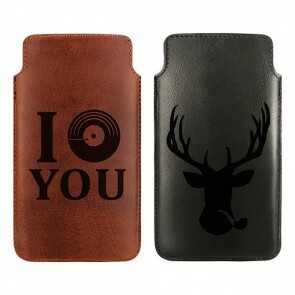 A personalised HTC case can be designed with anything you want. 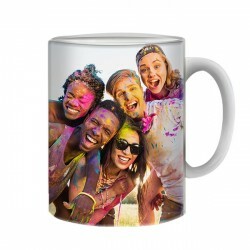 For example: You can use that special picture of your favourite holiday moment. 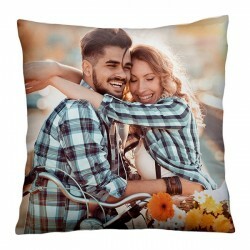 Do you miss your significant other too much during the day? 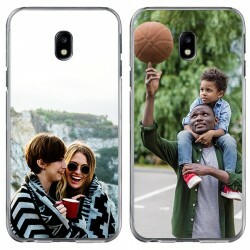 Then why not a design your HTC case with a unique picture collage of the both of you. Rather have something motivating to look at? 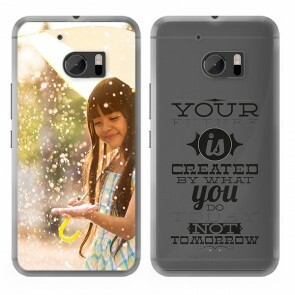 Design your own HTC case with a few of your favourite quotes. Like was said earlier, anything is possible with your personalised HTC case. The personalised HTC case offers not only a unique look and feel to your HTC device, it also offers a high level of protection against external damage. We offer a large variety of cases for many HTC devices. Some of our cases protect the side and back of your device while others offer full 360 protection. In addition we offer many different color options for you to choose from when making your own personalised HTC case. 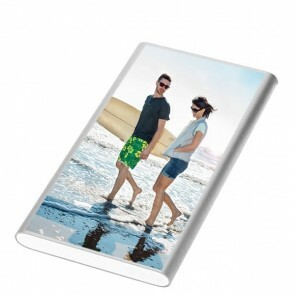 GoCustomized.co.uk prints your design directly on the case. 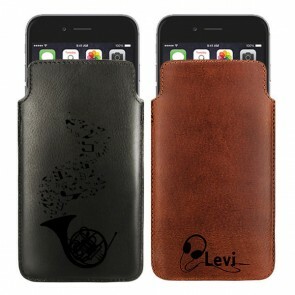 We make use of high quality printing methods that ensure a special finish to your special case. We don’t make use of any cheap sticker printing methods like many of our competitors. So are you looking for a high quality, unique and completely self personalised HTC case? Then you have come to the right place. Get started now and have your case in the mail before you know it!